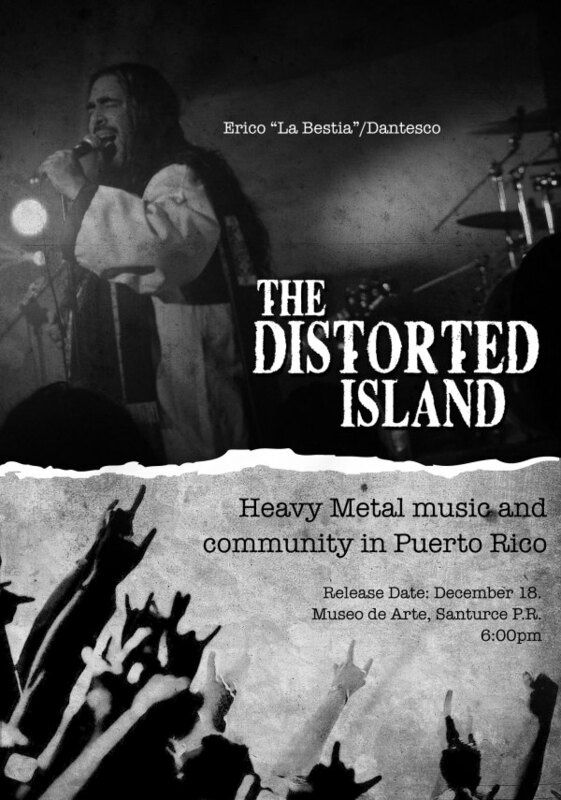 Heavy metal documentary The Distorted Island: Heavy Metal Music and Community in Puerto Rico will see release on December 18, 2014, at an unveiling at the Museum of Art of Puerto Rico in Santurce. Tickets are limited to 300, but free of charge, and can be acquired from the organizers. The Distorted Island: Heavy Metal Music and Community in Puerto Rico explores the birth and growth of the metal scene in Puerto Rico, zooming on on how local bands have survived for three decades thanks to strong strong community ties, while highlighting the cultural and historical challenges faced along the way. The film is the brainchild of Dr. Nelson Varas-Díaz, professor and director of the Puerto Rico Heavy Metal Studies program, and fellow academics Osvaldo González-Sepúlveda, Eliut Rivera-Segarra and Sigrid Mendoza. Local artist Kadriel Betsen will release a new promotional poster each week until the film’s release, with each image showcasing a different angle of approach to the topic matter. These posters will familiarize the public with some of the individuals interviewed for the film and set the mood for an appreciation of Puerto Rican metal. For updates, see the Puerto Rican Heavy Metal Studies Facebook page. The job of a record reviewer embraces nihilism in a way most people will never experience. Much must be removed — nostalgia for the musicians who shaped much of your teen years, sympathy for a musician who died far too young, desire for metal to awaken from its slumber — in order to clearly analyze the music and answer the basic question all reviewers should ask themselves: if I were a casual to moderately involved fan, on a limited budget, would I buy this record? 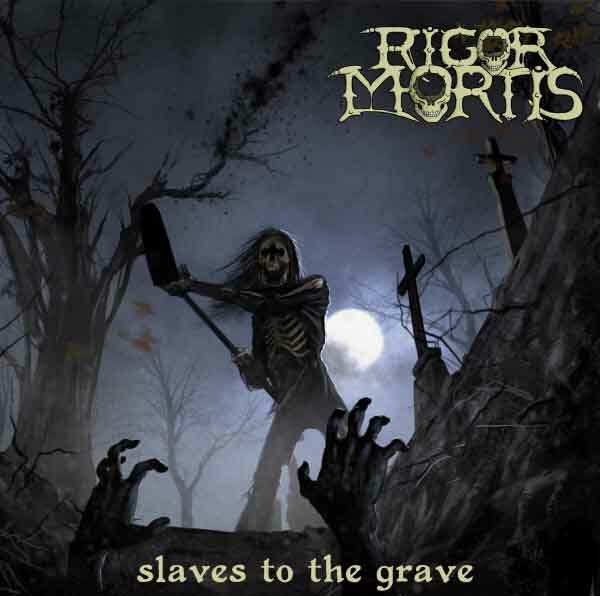 With Slaves to the Grave, Rigor Mortis returns after a challenging history. The only speed metal band with death metal influences to get signed to a major label, the band unleashed Rigor Mortis after which band politics forced out the vocalist almost all sources agree was their best, Bruce Corbitt. The band surged forward and released its instrumentally most exciting material on the Freaks EP, but completely lost direction with Rigor Mortis vs. The Earth, which reflected the band members pursuing their individual directions and losing a cohesive sound. Now after band members have spent time in Ministry, Warbeast, and Gwar, Rigor Mortis re-form to re-take the stage and carry on where they might have picked up after that first album. Stunned by the lugubrious death of guitarist Mike Scaccia, the band soldiered on with this crowd-funded album release, still facing its greatest struggle which is that “its strength is its weakness,” and having many strong individual performers means finding direction and balance is a challenge. Slaves to the Grave takes the fast tremolo speed metal approach of Rigor Mortis and slows it down to give it the rhythmic approach of bands like Kreator, Sodom and Destruction which makes it very catchy. Into this, the band members drop varied influences from other music of the period and contemporary metal. This is not really a followup to the first album; more likely, it is an attempt to do what Rigor Mortis vs. The Earth tried to — modernize its sound and find balance between technicality and rhythmic hook choruses — but with the original lineup. The problem with Rigor Mortis vs. The Earth is that, while it contained some of the greatest songwriting to emerge from this band, it was completely disordered, both as an album and as individual songs. Band members seemed to wander on stage to contribute their specialties, then vanish into the background as the band zeroed to a mean in order to preserve the integration of each song. With Slaves to the Grave, Rigor Mortis assert much more control over their work, but try hard to include all of their strengths. Vocalist Bruce Corbitt writes hook-heavy choruses that are highly motivational, where Mike Scaccia specializes in melodic guitar. Those two are in tension because guitar jams like to expand, where rhythmic hooks require keeping flying speed and then hitting it with dramatic tempo changes. On this new work, the band separate the instrumental bits from the song itself, creating a kind of “oasis” within the song arrangement where the guitar can unleash itself. Slaves to the Grave takes on a number of influences. From modern metal, it inherits the trope vocals that chant in cadence with the guitars and drums in the style that Pantera (nice guys, but the death of speed metal through norming) picked up on and metalcore really took to the wall, but luckily this does not happen at full intensity very frequently. 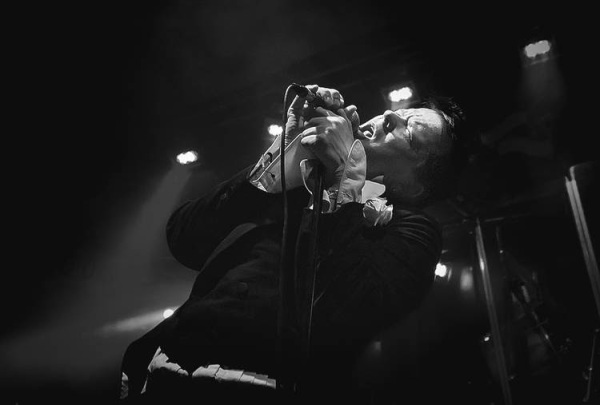 The band uses its classic technique of overloading verses so that they have two parts, a simple placeholder and a texturally more intense second half that prepares for the chorus. This gives the music more of a theater and lets the hook of the chorus integrate more with the song as a whole. Unfortunately, someone decided that mid-1980s German speed metal drums would be essential here, so most of the percussion emulates this style which not only becomes overbearing but is too simple for this music. A little Dave Lombardo influence here would improve things quite a bit. These songs fit together tightly like ancient walls and there are no random, rambling or irrelevant discursive bits, which shows the professionalism of this band. If we went searching for a spirit animal for this album, it would probably be mid-1980s Iron Maiden. Many of these chord progressions and the general rhythms used resemble those from the speed metal years of Iron Maiden, but also, the arrangements of these songs mirror the tendencies that the NWOBHM band developed. Songs blast through verse-chorus pairs, work themselves up to a break, reprise their main theme and then launch into instrumental cool-downs. This balance allowed Iron Maiden to stay hookish but also work in the depth they knew would keep their albums from being essentially aggro-pop, and it worked for them for many years, so it is intelligent of Rigor Mortis to pick up this vein. Other influences are Testament and earlier Rigor Mortis itself, which is cited through similar but distinctively altered chord progressions and melodies. “The Infected” for example shadows “Die in Pain,” “Poltergeist” shadows the break return in “Revelations” by Iron Maiden, and other fragments show up repurposed as new riffs. Unlike earlier works, the melody in Slaves to the Grave is built into the chord progressions, giving the songs more harmonic space. Scaccia takes advantage of this with numerous instrumental passages. These show a greater study of tone than earlier works, but lack the frenetic architectures of his lead guitar on Freaks and drifts closer to the rock, metal and jazz influences of Rigor Mortis vs. The Earth. This allows songs to slow down, expand a bit, and become more distinctive because they release less on pure rhythm and more on melody. This album offers well-composed songs that straddle the line between the raw fury of early Rigor Mortis and the instrumentally-advanced but compositionally disintegrated material of its later works. The most death metal track, “Curse of the Draugr,” and the first half the album deliver the greatest punch. The concluding ten-minute instrumental on the topic of Roman gladiators could perhaps be left off without damaging the album at all, since it is sparse in context and driven by vocals instead of guitar composition. The instrumental track sounds like the instrumentals from the later years of Death, but with less focus on pure theory and more on an emotional side to the music; metal fans will be lucky if future metal-jazz hybrids heed this direction. On the whole, Slaves to the Grave shows Rigor Mortis at its healthiest point in two and a half decades. For those who want the first album done again, it will not satisfy, but this will be more of a hit with melodic speed metal and technical metal fans. Funeral doom innovators Skepticism plan to record their fifth album, Ordeal, live at Klubi in Turku, Finland on January 24, 2015. This marks a departure from their normal process of recording in studio but enables the band to record the album and video simultaneously for release on their new label, Svart Records, having transferred from Red Stream Records. Visitors to the live show will also receive a re-issue of the first Skepticism 7″ EP originally released in 1992, which will be unavailable to the public. Skepticism formed in 1991, and recorded through the 1990s before unleashing their first full-length, Stormcrowfleet, in 1995. Attracting fans for their ability to merge melody, theatrical song structures in the Celtic Frost style and abrasive slow and ponderous riffing in the best doom-death style, Skepticism took doom metal to the next level of slow and grinding music creating a pervasive sense of dread and resistance. With their 1995 album Stormcrowfleet, Skepticism defined the funeral doom genre as entirely separate from the warmed-over rock of stoner and mainstream doom and, along with Winter, showed an entirely different direction for the future of that style. Since that time, Skepticism have released four full-length albums and two EPs to enthusiastic response by a dedicated fanbase. 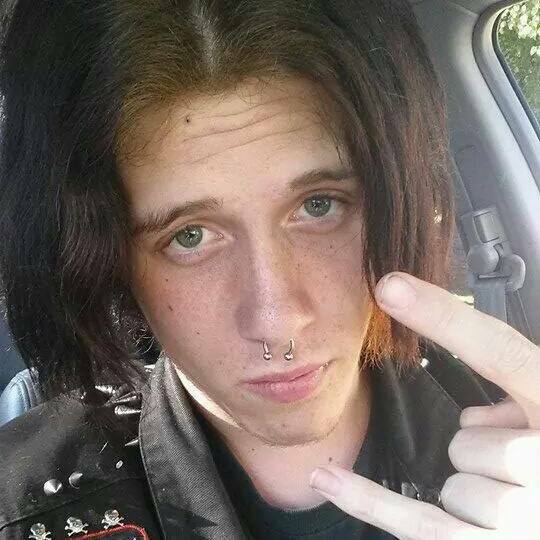 Heavy metal fan Jacob Andrew Crockett was nearly beheaded by Christian zealot Isaiah Zoar Martin after the latter engaged in a binge of drug use and watching Christian-themed videos on YouTube, resulting in the untimely death of Crockett and police detention for Martin. 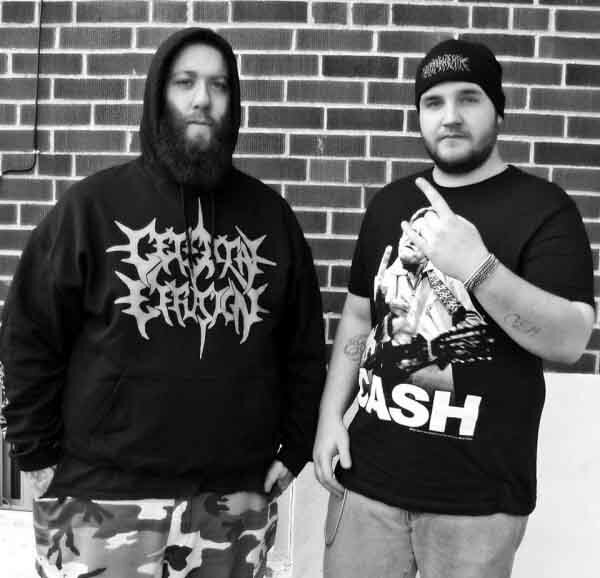 Murder victim Crockett spent his time in local bands Dungeön and Toxic Injection before they fragmented late last year, and was a fan of widely varied metal bands including Dying Fetus and Mayhem. He apparently had feuded with Martin in the past over Crockett’s ongoing experimentation in various occult beliefs, a practice presumed related to his heavy metal fandom. Samuel told police Crockett and Isaiah had disagreements in the past. For many years, Hessians have received zero protection from persecution or violence by those of other faiths. According to many metalheads, heavy metal is its own religion. While right now people might view this beheading and other anti-metalhead violence as the case of isolated extremists picking on someone else for a lifestyle choice, it is more accurate to view it as a clash between members of competing faiths. From persecution of metalheads in Muslim lands to Christian demands for censorship in the USA and now this violent assault, the tension rises. I can only imagine the media response will not be so muted if heavy metal fans decide to start defending themselves by beheading Christians who seem likely to commit crimes out of religious antagonism. According to the articles above, Martin prepared for his crime by watching YouTube videos with Christian themes. 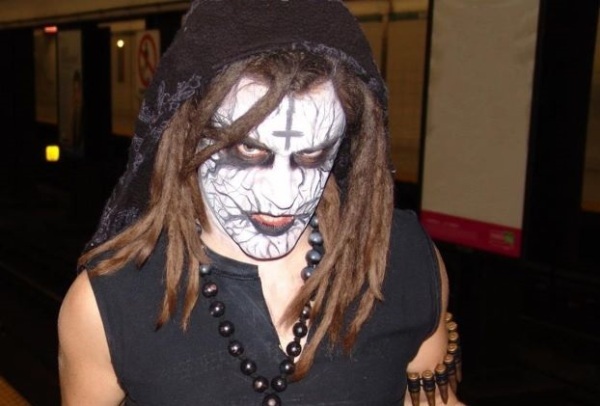 Perhaps metalheads should be extra wary when members of other religions are nearby watching videos… and arm themselves for the inevitable clash. Contemporary brutal death metal fills its world with feces and dismembered women in lieu of content. While that repugnant stench has kept the critical listeners away, the less-discerning still inhale the fumes, but now a band from Australia threatens to unite the audiences on a newer and more advanced form of the genre. Attempting to deviate from the soulless average that has infested the genre, Disentomb with Misery unleash a work of complex but stripped-down death metal. Like the energetic offspring of Immolation and Disgorge, this album creates dark and dissonant brutal death metal yet still stays true to the frenetic riff-salad recipe that is inherent to the brutal death metal artistic voice. On Misery, the internal dialogue of these riffs projects the type of landscape we might find in a dystopic wasteland, tearing songwriting down to its bare, primal foundations in a method evocative of early Suffocation. Misery exudes chaos, depravity, and most importantly, direction. While their contemporaries languish in a pool of defecation and flat-bills, Disentomb dream bigger and help steer brutal death metal toward a new direction. In particular, songwriting returns in a sense other than boxy variations on standard pop/rock song form. Songs vary from the brooding mid-paced drone of darker material to the bright and abrasive aggression of fast and chaotic tracks and use each other for contrast so the album as a whole highlights a range of emotions. The result is a complete package of death metal brutality and intensity that aims for an artistically alert audience. As mentioned in our review of Cuff Transient Suffering Through the Ergosphere, this Canadian two-piece tries to combine the extreme aggression of Deeds of Flesh style technical gore-grind with the musical experimentation of later Cryptopsy. The band creates sci-fi themed albums with catchy, energetic and mind-abradingly simple riffs in droning brutal arrangements. Joining the crowded field of late model death metal that tries to tie together the influences of the last decade of chaotic metal hybrids, Cuff introduces a style that aims for a hybrid of Cryptopsy-styled brutal death metal and recent West Coast brutal death/tech-death/gore-grind hybrids like Deeds of Flesh. This album delivers basic linear riffs with compelling rhythm while sneaking back in some of the technicality and lead-guitar melody of older death metal, in addition to imaginative Voivod-style sci-fi lyrics. Transient Suffering Through the Ergosphere — the ergosphere is the liminal region just outside the event horizon of a black hole where energy can be sampled from the rotation of the field — brings out the intensity through raw technique of these genres but stops short of a new style. It uses the brutal percussive death metal late genre addition of vocals in trope with drums and guitars, creating an almost GWAR-style comical insanity, alongside more of the styles of explosive grinding popularized by Cannibal Corpse. While much of this follows the late grindcore model of technicality, touches of musical creativity hide in many details and niches. As with many things in life, this genre of recent brutal gore-grind mashup will not be for everyone. To those outside the genre, it seems to be ludicrously simple and repetitive. Within the genre, fans enjoy the duality of material that is both catchier than a Taylor Swift album and more extreme than early Napalm Death in terms of sheer rage-venting riffs mated to pounding, transgressive drums. Cuff intensify these aspects and, while not inventing anything new, push the sub-genre closer to the musicality of later Cryptopsy. Transient Suffering Through the Ergosphere will be released November 18, 2014 on Gore House Productions. For more information, see the band website. According to my calendar, October 29 is National Cat Day, or a day for celebration of all things feline. 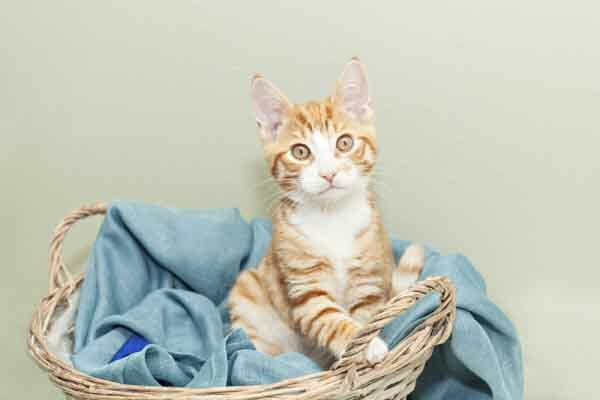 As mentioned in earlier posts, metalheads love their kitties and bands have been known to put their felines before careers. Currently the gaming world struggles with something called “GamerGate,” which involves two groups of fans. There are those who want gaming to be more socially responsible, and those who want it to be more like 4chan. Heavy metal fans have been targets for scorn and derision for decades. The metal community is supposed to be a place where misfits and outcasts can find shelter in the face of that intolerance. When you throw around bigoted slurs, whether you know it or not, you’re eroding the community we’re all supposed to be a part of. More importantly, you’re reinforcing the prejudices of every mouth-breathing homophobe within ear or eye shot, and you’re very possibly harming another human being for no reason. Keep that in mind the next time you’re tempted to call someone a fa* or describe something you don’t like as gay. Hopefully you’ll think twice about the language you use in the future. But if you still don’t care, please do everyone a favor and keep your stupid comments to yourself. Personally, I wish to fall into neither camps. The first camp wants to offend no one and make sure that humanity all gets along so that heavy metal can be accepted by mainstream society. The second camp wants to keep us as perpetual outsiders, which is fine, but they want to do so by appealing to the lowest denominator among us. I have a problem with that, too, because it seems to me that being the opposite of a wrong thing is often to make a different version of that wrong on the level of method and not goal. Or rather, by removing an actual goal, you create a lack of goal, into which method fills the gap. A moral panic doesn’t have any relation to reason. It’s a mob expression of rage against an issue that threatens the social order, usually relating to the violation of some cultural taboo. There exists a long American tradition of moral panics, from Prohibition in the 1920s, to the Red Scare of the 1950s, and most egregiously the Satanic Panic of the 1980s. People were jailed and lives ruined over obviously false accusations made by children trying to please psychiatrists and other adult authority figures. You can see there is a range of opinion about this. I pitch an unusual idea to you today: do not take a side. Do not join the Louts and do not join the Nannies. Instead, trust nature. There has always been a diversity of opinion within metal ranging from the anarchist to the totalitarian and back again. People are going to have their own opinions and they will not get along. There is no “we.” Metal is a refutation of the idea that we can all get along. Trying to make us all get along will create more problems than it solves and might also foster a nasty backlash that will turn metal into a permanently alienated battleground. Neverlake attempts the holy grail of postmodern horror film: to unite the supernatural and the modern into a single narrative where one reveals the other. Despite focusing perhaps too much on “atmosphere” at the beginning of the story, the movie creates compelling supernatural narrative within a very modern plot. The plot centers on a young English-Italian girl, Jenny, who goes to visit her semi-estranged father in the Tuscan countryside. A self-assured young woman who spends most of her time with her nose in a book, Jenny begins having visions of the supernatural connected to a nearby lake. As her father relates, this lake has been used for three millennia by Etruscans to commemorate their dead… and possibly, much more. The plot then develops in parallel between Jenny’s exploration of her thoroughly modern and dysfunctional family, and her deepening learning about the ancient lake with the help of a nearby group of children recovering from mutilating injuries. During the process, Jenny needles her father for more information about her Italian mother who died when Jenny was very young. While the word “atmosphere” sometimes takes on a connotation of euphemism for boredom with a soundtrack, it does not fully take on that role here; the movie develops slowly and in retrospect, this is less necessary than the filmmakers thought and probably more intended to lull us into submission. That is an error because the wide pans of the lush Italian countryside tend to do that quite effectively. The first third of the movie sometimes lapses into atmosphere pieces that achieve less than their screen time; instead, a more plausible use of screen time would be to give us more of the geography of the house in which Jenny and her family is living, of which we see two rooms, which becomes disorienting later. The plot is cryptic but not “clever” in the sense of handily tying up a bunch of quirks into a plot that technically makes sense but slips too far beyond known reality to be interesting except as a kind of mental party game or hypothetical conjecture. Sadly, the film is blighted with a title that seems like a broken neologism and film posters that, at least in the US, make it seem as if this movie were about combat with lake-zombies. That poster served to simultaneously attract people who will hate this movie and exclude the people who would enjoy it. It deserves a second look. Neverlake builds its tension on a solid plot and a mystery that enmeshes its different parts with one another to make a kind of self-referential maze. It reinforces this with music that intensifies the atmosphere and cinematography that brings out the isolation of its characters. The music fits within a strange zone between soundtrack, Dead Can Dance with no solo vocals, and some of the more recent ambient neofolk material. Although written using modern instrumentation, it captures an ancient feel, clearly familiar with both Carmina Burana and Ancient Airs and Dances. Keyboard symphonic music without solo vocals or consistent drumming gives this film the spacious air and gravity that it needs, where throwing in the usual alt-rock B-sides as many horror movies currently trend would have savagely trashed the atmosphere. Cinematography also reinforces the mood; the filmmakers opt for a dense, saturated scene with wide contrasts in color, allowing the lake to dominate like a gleaming life-form and to show people as somewhat washed out, empty and terrified. They do this without over-processing and thus ruining the lush natural detail. The script for Neverlake strategically builds to a conclusion which is as intense as the earlier part of the film was vacant. This balance seems intentional, just perhaps miscalibrated. Daisy Keeping creates a simultaneously disingenuous and headstrong Jenny who stumbles perfectly into the role set for her by the script, while more mature actors manage to combine creepiness and standard postmodern adult vagueness and incoherence into a single mode, which makes them both comfortingly background and potentially complicit. Combined with the intensifying music and intensely naturalistic filming itself, the plot development helps create a sensation of slipping beyond the modern and known into a world of the ambiguous and threatening, which is then explained through the modern — but questions remain. 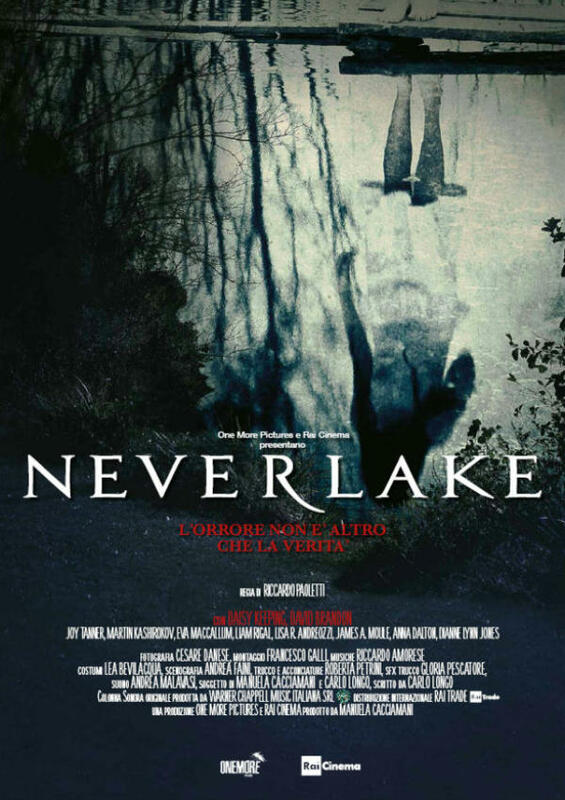 For those who like a good horror film that is more internal existential and moral terror than chainsaws and centipedes, Neverlake provides a powerful escapist fantasy.